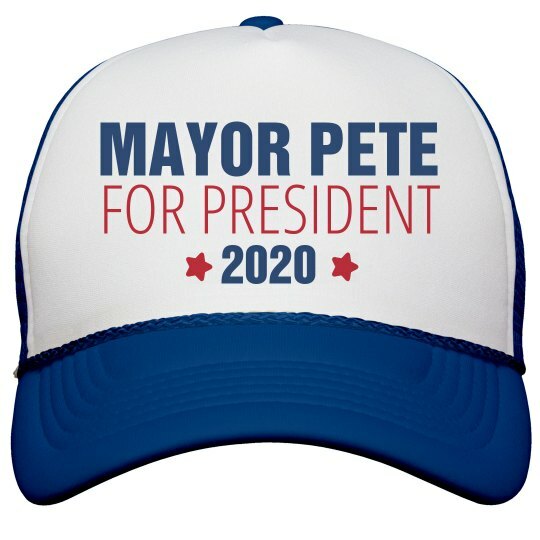 Support Mayor Pete Buttigieg in his journey from South Bend, Indiana to Washington D.C. Rock the classic red white and blue hat or customize the colors to something else. Maybe a nice back hat? Maybe a red hat?